As reported back in March on this blog, it seems Girls Aloud will return in 2011 without Irish singer Nadine Coyle. The Sun reports that the other four girls are set to return and work on new material and begin touring again. The newspaper reports a source as saying, "It's been a painful decision for Sarah, Nicola, Kimberley and Cheryl but they have decided that the future of Girls Aloud lies without Nadine. "They've all been on a roller-coaster ride since 2002 and have just grown apart from Nadine. "Relations with her had been strained within the camp for a while. "Disputes began cropping up towards the final days of the band before they went on a hiatus. "The four remaining girls want to return on their own terms - and avoiding any squabbles is a high priority. "That's why they have decided to go on without Nadine." Here is Victoria Beckham on the cover of the latest Vogue magazine from Turkey. The article features a collection of pictures with Victoria in various stunning outfits. The 2010 Barclaycard Mercury Prize shortlist has been announced and the nominations are below, the winner will be announced at a ceremony in London on September 7. Last year Speech Debelle won the award with her album 'Speech Therapy'. Here is the full video of Pink as a stunt went wrong at the Nuremberg concert in Germany this week. The singer was taken to hospital after the shortened gig but got the all clear. In the video you can see the singer trying to signal that the harness was not clipped on but she was hurled into barriers moments later. ITV have confirmed that Jonathan Ross will be joining them to present a new chatshow from 2011, the former BBC frontman will formulate the 18 part programme with ITV. The chatshow is expected to follow the X Factor to capitalise on high viewing figures. 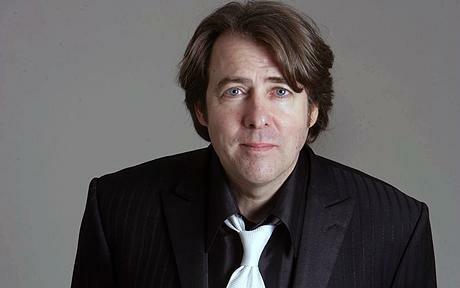 Jonathan Ross released this statement saying, "I am thrilled and excited that after a short break I will be rolling up my sleeves and creating a brand new show for ITV1, I have worked successfully with most of the key figures at the network in the past and cannot wait to get back on screen with a fast, funny and unpredictable new talkshow". The ITV deal is expected to net Ross a cool £1m, a huge drop from the £6m a year at the BBC but more in line with expectations given the current wage squeeze in the media.